Taking 10 minutes to take a step back and proofread your designs is such an important step. 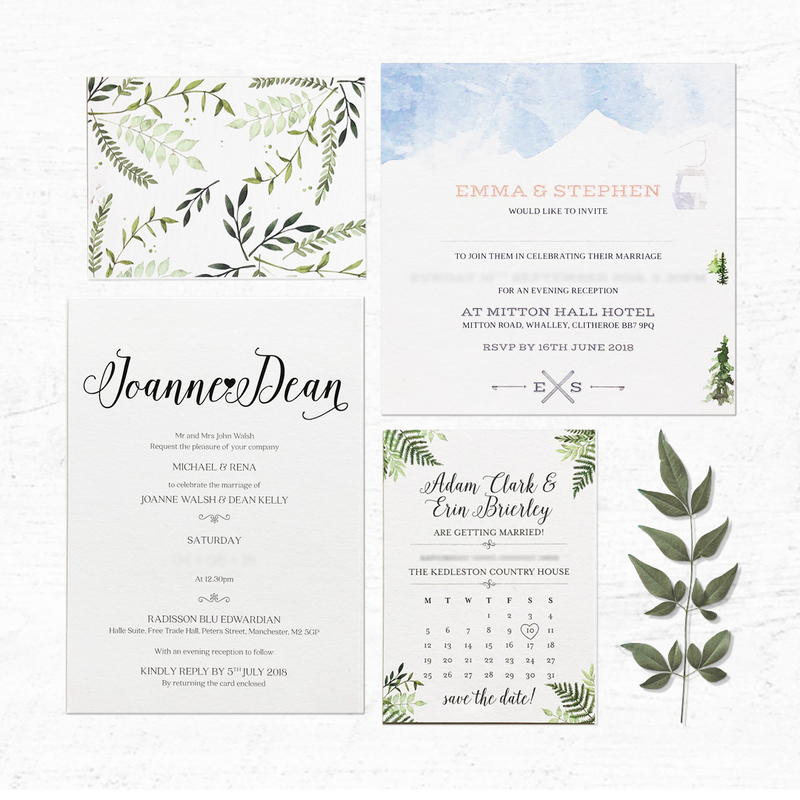 You don’t want to give the go-ahead on your stationery with misspelt names or even an incorrect wedding date! To take a little pressure off yourself, why not ask a friend or family member to cast their eye over your design? They haven’t been looking at it for a long period of time and may spot something you haven’t. 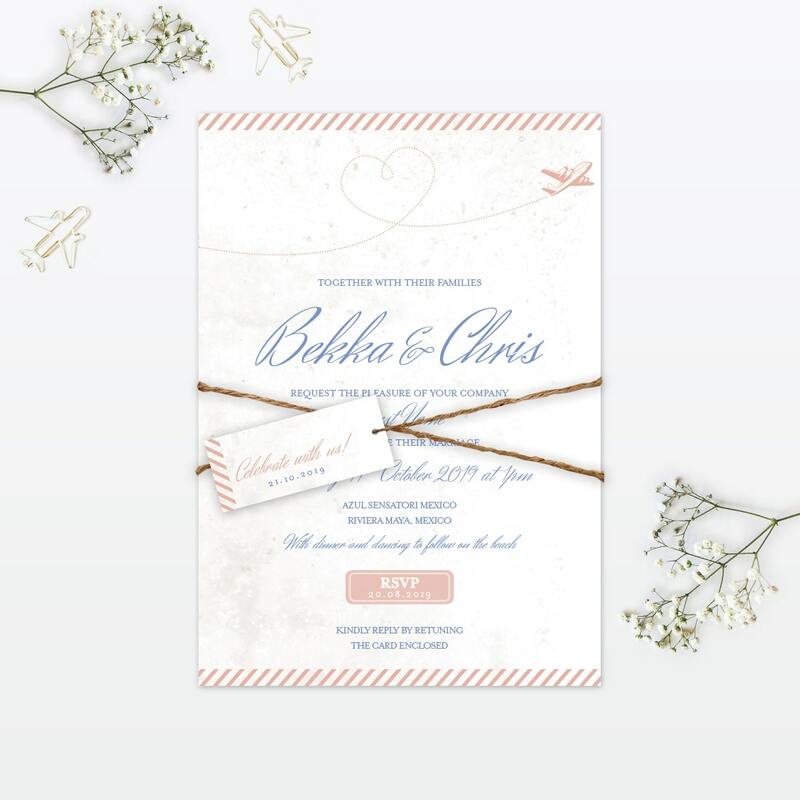 Invitation numbers can be confusing to decide, you do not need one invitation per person, but similarly, you may need more than one invitation per household. 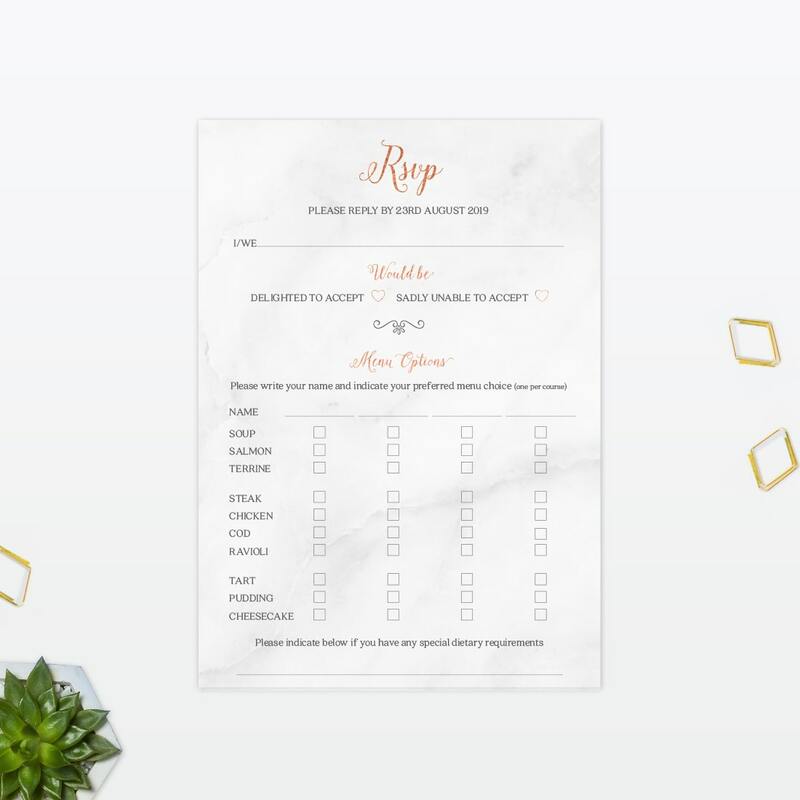 To ease the process it is worthwhile writing down all your guests and where they live so you can clearly determine how many invitations you need to order. You don’t want to be stuck not having enough invitations, so we always advise to order a few extras just in case. Remember, we are always here to help you with each step of the process and have years of experience to go off so if you are still unsure simply drop us a message. 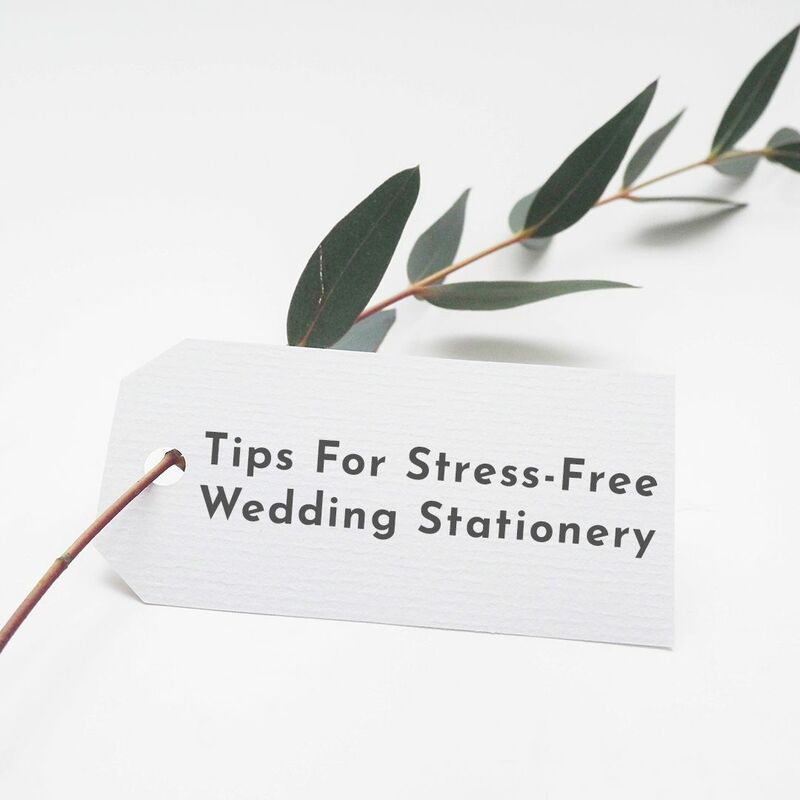 Giving yourself enough time to organise the rest of your wedding stationery is key to reducing the stress. We suggest you set your RSVP date at least 8 weeks before your wedding so you have plenty of time to organise table plans, place cards and all other on the day stationery. We have a blog post all about stationery timings here. Addressing your own envelopes is time-consuming which means more room for mistakes to be made. If you decide to add your guest’s names to our invitations, we also include printing addresses onto your envelopes at no extra cost. If you want your guests to wear a certain colour, or you politely want them to know that the ceremony is child-free- it is important they are told this on the invitation so everyone is clear on the situation. It is just as important as putting the date, venue and time of your wedding. Some people love and thrive off DIY, but for many of us out there, it just isn’t our forte. Don’t put pressure on yourself spending hours creating stationery you’re not going to love- we have lots of affordable options which will save you time and allow you to have the stationery you really want. Your wedding start time is really important- you don’t want people arriving as you’re halfway up the aisle, and similarly, you don’t want your guests sat waiting for an hour for your arrival. Putting a clear ‘arrival’ and ‘wedding start’ time on your invitations will clear up this issue and make sure the day runs smoothly. 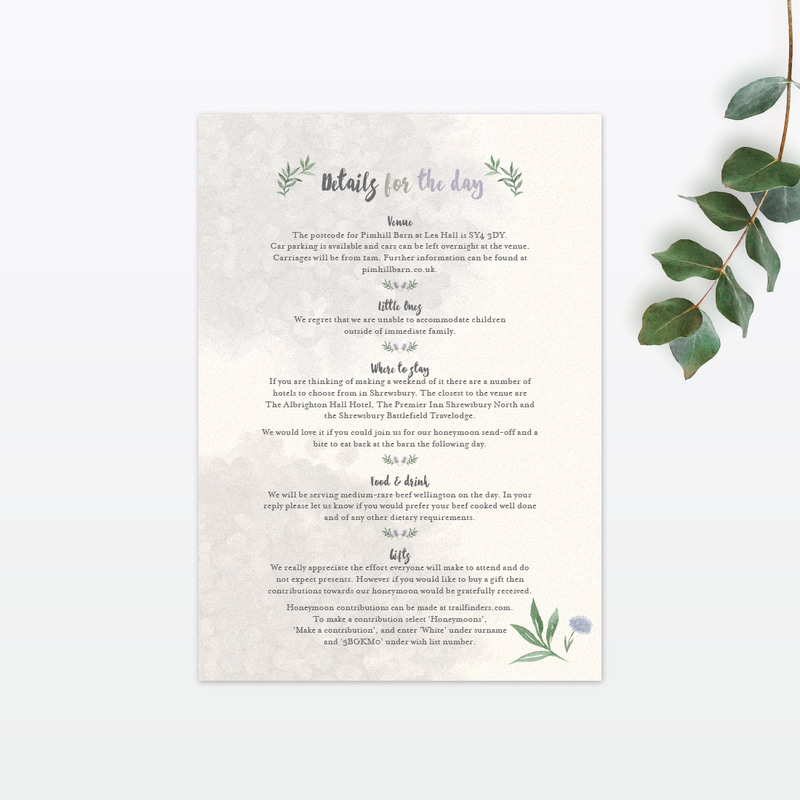 We love doing bespoke designs, but we are big believers that less is more- it’s nice to show the overall theme of your wedding in your stationery but leaving some details to be a surprise on the day makes sure the stationery doesn’t look OTT. We hope these tips helped in avoiding any common wedding stationery mishaps. Of course, we are well aware of all of the above and do everything we can to help guide our couples in the right direction. If you are ever unsure of anything, please don’t hesitate to ask– it’s what we are here for.